This topic may be uncomfortable for some and you might be tempted to turn away from the information simply out of disgust...but I really hope you don't because this is a very sneaky global epidemic affecting literally every person on this planet. Keep reading if you’ve ever had weight or health issues, if you want to find out how to attack the cause of your health issues, and unleash more energy and health than you’ve ever had. A lot of people in-the-know argue that certain tiny (sometimes microscopic) bugs are often the silent culprit behind many ailments (especially chronic), sometimes even Autism. Okay, enough with the suspense…I’m talking about parasites. I'll be the first to admit that parasites are gross to think about, just the word gives some the heebie-jeebies, but please hear me out. The great news is that parasites are becoming less of a fringe issue that was mostly discussed by people in the "health-nut, tree-hugger, alternative health world," and is now being talked about by mainstream celebrities like Dr.Oz. We just have to get over the "ew" factor and man up, because this is important (I'm talking to myself, too)! Most of us, when we hear of people being infected with parasites, we think of third world countries who don't have easy access to the amenities that we enjoy, like clean water and medical healthcare, etc. I know that's what came to my mind initially. I never would have thought that I (or the people around me) could have parasites...until I did a little more digging. So, I read about parasites and parasite cleanses a couple years ago, and while my mind was open to the information, I didn't actually do anything about it. I think I just needed a re-awakening to the information and, most importantly, to be in a mental state of willingness to take action. It wasn't until very recently when I came across this life-changing article by OrganicOlivia that it finally clicked and I told myself, "Yeah, I need to do this!" As I write this, I am currently undergoing a parasite cleanse, which I'll detail below, and I’ve brought together what I feel to be the best information on the subject so you won’t have to dig like I did. But I'm getting ahead of myself. Yes, this is a rather long post, I try to be thorough and comprehensive so you get the best info, but a 20 minute read is a minuscule fraction in the scale of your lifetime. Lasting health starts here and you owe it to your body (especially if you have any health issue)! 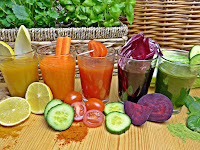 Why it’s important for everyone to do a parasite cleanse (and some facts). 1. I think we all know that parasites are organisms that live off of the nutrients from another organism, or host, often times to the detriment of the host. Think of parasites like thieves, stealing all your nutrients and letting you nutritionally starve. 2. Everyone has parasites, even you. Yep, you have parasites. Yes, you do! Take a minute to come to terms with that. Even the healthiest person on Earth has parasites. Even a germ-o-phobic shut-in has parasites. And there's no way to completely escape them 100% since they start out microscopic and hide on everything you touch, eat, or drink, just like germs do. It doesn't matter how squeaky clean you or your environment is, they are there. I'm not saying this to scare you into being a germ-o-phobe, but to inform you. They are just a part of the natural cycle of life. When they weaken the host (you) and start multiplying like crazy is when it becomes a problem. Then it becomes an infection. 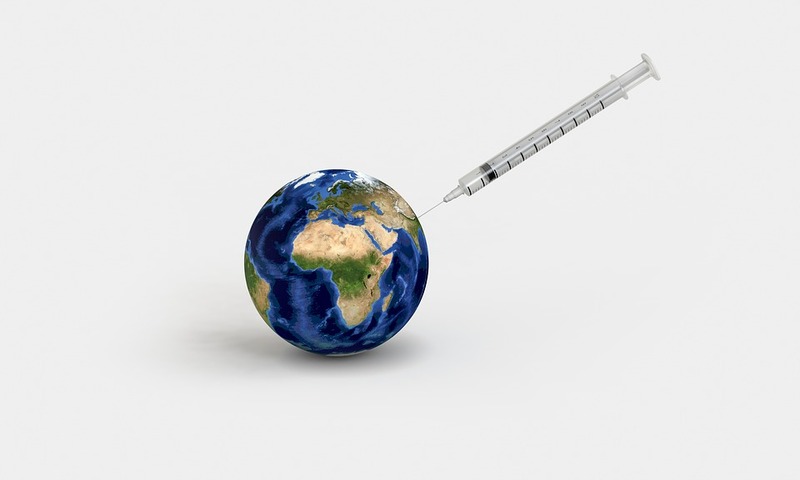 But don't freak out, there are natural ways we can keep them from proliferating and ways we can reduce becoming infected (I'll explain how below). 3. Parasites aren’t just confined to your intestines. They can inhabit any organ or place in your body – intestines, liver, lungs, heart, brain, eyes, blood, and muscles, to name a few. If you have an organ (which, obviously you do), there’s a species of parasite that prefers to make that spot their home. 4. You can get parasites in just about any conceivable way. You can get them if you breathe, if you’ve ever walked barefoot or touched dirt, if you ever eaten meat (no matter how well-done), eaten fruits and vegetables (washing helps, but it doesn’t always get them all), been around children or animals, shaken someone else’s hand, been in any public place like a store or a hospital. So, yeah, that pretty much means all of us. They’re not just bugs that you pick up while abroad, they’re right in your backyard, so to speak. Washing hands and food and keeping frequently-touched surfaces clean can help reduce your exposure (but not 100%). 5. There’s over a thousand different types that can infect humans. And they can all have different effects depending on species and location in the body. Some common ones are tapeworm, hookworm, groundworm, pinworm, flukes (e.g. blood fluke, liver fluke), Giardia, and Cryptosporidium. Some parasites can live 25+ years in your intestines, some species can even get up to 50feet long, and some can lay 30,000 eggs in one day. That’s just the tip of the iceberg. We can see 30% of the parasites that infect us, the other 70% are microscopic. It’s highly unlikely and unusual for a person to be infected with just one type of parasite – we usually have many different types. 7. 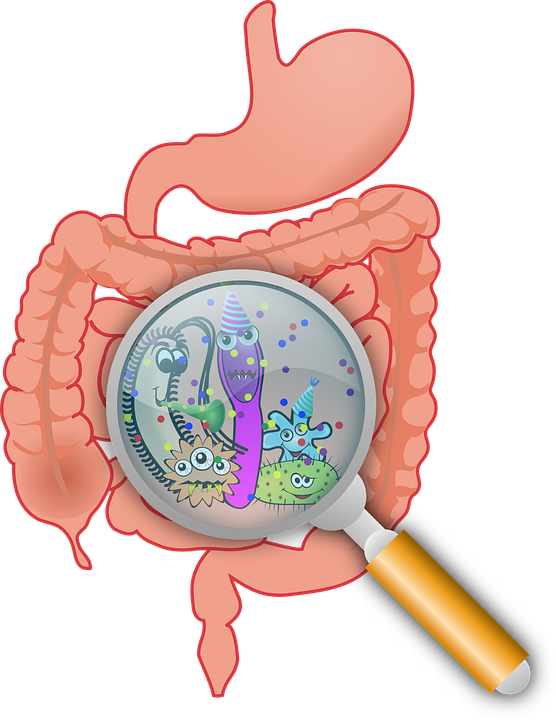 Health starts in the gut and if your gut is clogged up or leaky, it's going to affect literally everything about you, even your mood, and it's going to pave the way for parasites to infect you more easily. A clogged gut means you're not absorbing the nutrients from food (no matter how healthy you eat), which means you will most likely be deficient in essential vitamins/minerals and other cellular building blocks for health, which means lowered immunity, which means lowered ability to naturally fight off and repel parasites (and other infections). In fact, there are some who argue that there may be a parasite outbreak at the heart of every disease. 8. Your physician probably isn't well-versed about parasites. I'm sure your doctor is a well-intentioned person, but they aren’t usually trained to look for a parasite infection as the root of your ailments, whereas a parasitologist, infectious disease specialist, or naturopath practitioner are. Your doctor can test you for parasites, but they can only test for a very tiny bandwidth of them, which doesn’t do much good when there are a thousand types. So you can test negative for parasites in your doctor’s office and still have a parasite infection. Or your doctor can prescribe you a medication to get rid of the one type you tested positive for, but it’ll only affect that one type. Again, that doesn’t do a lot of good when humans are hosting many different types all at once. Our medical technology just hasn’t caught up yet. Luckily (and as usual), nature provides the cure (keep reading). 9. You probably didn't know about parasites because the U.S.A. has really lost the cultural practice of parasite cleansing. Pretty much every culture around the world has a built in tradition of parasite cleansing once or twice a year. I’m guessing we probably lost ours when the modern medical and pharmaceutical corporations propagandized and vilified ancient medicine and alternative practices decades ago. These are the same corporations and agencies that recommended smoking cigarettes for health. Plus, anything icky and unpleasant we tend to shrink away from, I'm no exception. We as a culture tend to sweep it under the rug because if we can't see it or hear it, it's easier to forget and comfortably live our lives without question or challenge. As usual, nature provides the answer to lasting health. Okay, so now you know you have parasites...now how the hell do you slap 'em with an eviction notice?! Good news! You only need one natural, budget-friendly product! 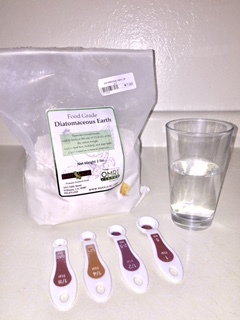 The BEST, number one, natural, effective, and cheap parasite remover to get is Diatomaceous Earth (Food Grade Only). There are two types of Diatomaceous Earth (shortened to DE) – 1) Food Grade (which is safe for humans and animals) and 2) Non-Food Grade (which is toxic and used in pool cleaners), so make sure to ONLY get FOOD GRADE! If it doesn’t say Food Grade, don’t get it. DE is better and more effective than the medication a doctor can give you because it affects every parasite type, not just the one or few that your doctor is targeting. Improves teeth, hair, skin, nails, bones, and general health. DE (Food Grade) can be found at most feed stores, some health stores, and many locations online (like here). I got mine at my local feed store, 2lbs for $8, which will probably last my husband and I like 1-2 years. If you have a significant other, they need to do this cleanse with you as they can re-infect you. You can also give your adult dog or cat small doses of it, too (start small and slow), or use it topically for flea control. Some sites claim you can take DE while breastfeeding/pregnant. I would never do this and highly advise against it. Never do a detox/cleanse while breastfeeding or pregnant as toxins are re-released into your body so they can be flushed. You can pass these on to your baby and make them sick or worse. Here’s a source for more information. Some sites say you can give to children as well…I just personally wouldn’t give it to very young children or toddlers. Always exercise caution, use your best judgment/intuition, and consult a health practitioner if you intend to give it to children. On another note, you may be able to use it indefinitely – I’ve found no time limit anywhere in my online research (but if you have, please send me the link and I will update). Always listen to your body. Taken in my own kitchen by yours truly. Now how do you use DE? How much can you take and how often? Some people say they consume a teaspoon of DE (Food Grade) or even up to a tablespoon a day, dissolved into 16oz. (or more) of water, juice, or smoothies. But you need to start really low and work your way up to the full dose. The reason for this is that as parasites die, they release toxins and ammonia into your system, which can cause detox symptoms of headache and nausea, to name a few. GO SLOW TO AVOID CRAPPY DETOX SYMPTOMS! Yes, that needed to be yelled in all caps and I’ll talk about the importance of knowing about detox symptoms below and how to counteract them. DE is best used on an empty stomach at least 30 minutes before breakfast. But you don’t have to do it perfectly for it to work; if you can’t take it in the morning before breakfast, that’s okay – as long as you take it, that’s the important thing! Drink an additional cup of water after each dose and drink a ton of water throughout the day since it can make you thirsty. Some people take it indefinitely in smaller doses (that is what I plan on doing). The great thing about this is that it’s so easy; take it once a day and done. 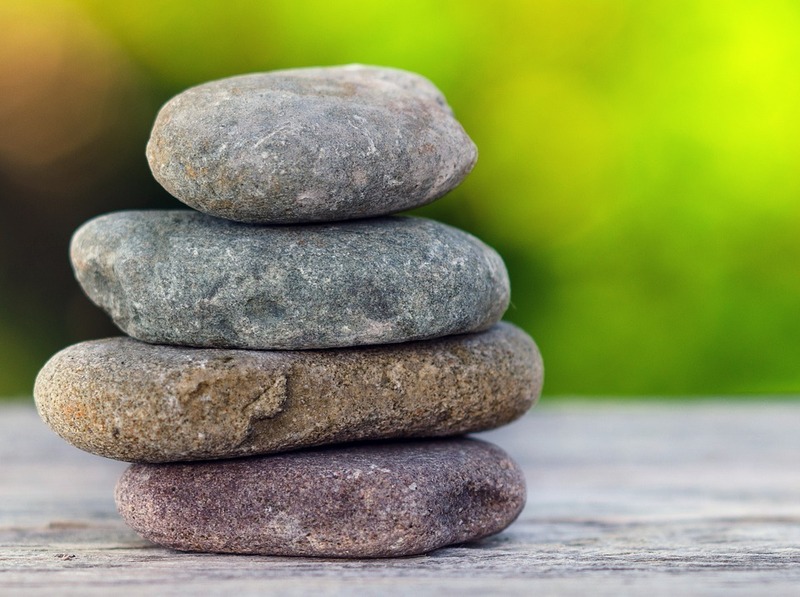 When I first took DE at full strength (a teaspoon), I had a major headache and nausea for hours – which indicated I took too much for my body and I needed to dial it back down. Here's the dose schedule I've been doing (to avoid detox symptoms) and would highly recommend, especially if your body is sensitive like mine...in fact, you may even need to go slower, depending on how infected you are; I'm currently on week 3 and up to 1/2 tsp with no signs of headache or nausea or anything unbearable like I'd previously experienced. Also, you must do a maintenance parasite cleanse once or twice a year so they don’t get out of control again. This is not a do-it-once-and-you’re-done-forever kind of thing. Your body requires maintenance since you will always be exposed to these bugs. I’ve included two different maintenance options at the end of the 6 Week Schedule. Again, always listen to your body (yes, I’m going to harp on this). There is an alternative to DE and additional natural supplements that you can take, but I have put them in a separate post because I find DE to be the best option on every level. If you do a little “googling,” you'll find a lot of articles touting the incredible natural effectiveness of what I call The 3 Heavy Hitters that have been used traditionally in ancient medicine for parasite removal. You can read my article here, along with my Pros and Cons of their use over DE. I don’t like to cast a negative view on anything but, the crappy (literally) news is that you will see some parasites come out in your stool. Gross, I know. But you’re trying to get rid of them, you want them to come out. Some “adventurous” people even use gloves and special sanitary tools to dig into their stool and find the parasites and take pictures to show their doctors (and whoever else). My stance on that – aw, hell naw! Nope, nope, nope with a side of screw that! So if you’re like me, you can just flush it down. Now, I’m a little bit of a curious cat and I have looked in the toilet bowl after doing my business and here’s what you can expect to see: some of them are quite obvious, no digging necessary, especially pinworms and some eggs, but most of the time they will be hiding inside the stool. I screamed the first time, I admit it. Seeing it made it so real for me! I could intellectually understand that I more-than-likely had them, but it was REAL. Yuck, and sorry if it’s TMI, but I’d rather you be prepared. The other bad thing that I’ve mentioned several times is detox symptoms and side effects. As parasites die inside you, they release toxins, ammonia, and even other parasites. Even parasites have parasites! You’ve heard the phrase “It gets worse before it gets better,” right? Yeah. The key is to kill them slowly. Now, I know this sounds counter-intuitive; you’ve just read that everyone is infected with them to a certain degree and they can cause all these (often chronic) ailments and now you want them out, dang it! You want them the heck out now! Patience, young Padawan…and here’s why: you don’t know how infected you are. Some people have a larger overgrowth, a bigger population of parasites than others, especially if your immune system is lowered or compromised because that’s when they thrive. So if you have a huge population and you go gung-ho on exterminating them, too fast too soon – you could end up with toxic shock. That’s worst-case-scenario if you decide to ignore my warnings. I wish I had read this before I jumped into my parasite cleanse! Symptoms can come and go; you may have none the first week and have a bunch hit you in the third week, or they can get all mixed up. Everyone is different and your body is going to react in all sorts of ways. These symptoms should pass within a few days and some lucky people don’t ever experience parasite die-off side effects (ya jerks!). These can be a good sign that they are dying and leaving so you can start healing. But luckily, if you feel some of these symptoms like I did, you can reduce the effects! Here’s some strategies to minimize parasite die-off side effects. Take a gentle stool softener every other day (This is all I’ve needed to do. Consult your doctor). Get a Message to “help to reduce the pain and increase the blood flow so that the toxins can begin to leave more efficiently,” says Helena. Exercise! You want your blood carrying all that DE (or 3 Heavy Hitters) to all your organs and muscles, to wash over the parasites, kill them, and flush them to your digestive tract for elimination. Use a heating pad where it hurts, a pain reducing essential oil blend, or (if you have to) an OTC pain killer. Journal or talk to a friend, family member, or counselor to deal with the anxiety or emotional instability. Meditate/pray. Remind yourself that this is necessary for lasting health and this too shall pass. Additional foods, supplements, and strategies to aid parasite removal. Many people find that they lose weight doing this cleanse, however, I wouldn't do this cleanse if your only goal is weight loss. That is just a happy side effect. 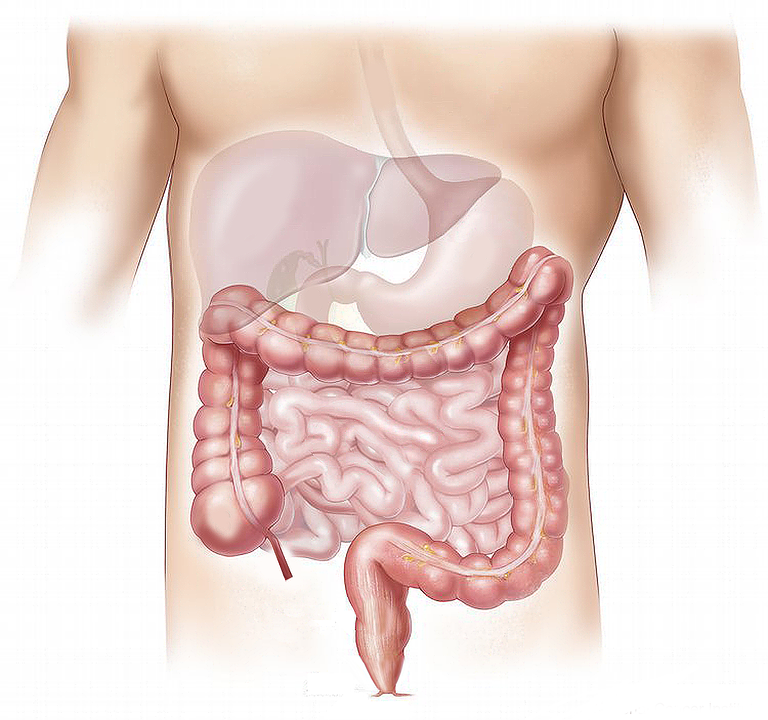 The weight lost is probably mostly due to the reduction of bloating and loss of water weight. Parasites can make you bloat, so when you get rid of them, you'll be less bloated and you'll probably notice a few inches off your waist. Also, you'll probably be peeing more often, so, yeah, water weight. 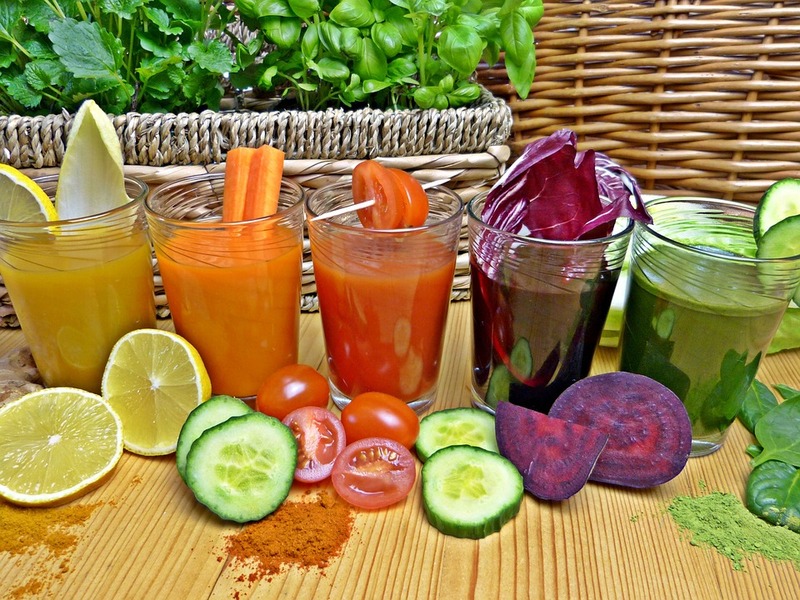 Do this cleanse because it'll help your health, not as a fad diet. More Good! Pile on the Good! Positive side effects of the parasite cleanse (to name a few). Now that you have all the info, here’s my personal review and journal of my journey. The first week, most of my detox symptoms were mild and manageable; my main complaint was the brain fog and increased anxiety, everything else was very minor. In fact I barely noticed the other symptoms until I cross-referenced common symptoms and checked off the ones I had, almost as an afterthought. Within 5 days I saw obvious parasites in the stool and that was only using 1/8 teaspoon dose! The second week though, I had a moderate, irritating sensation in the back of both my thighs (but especially my left) that lasted for 5days – it wasn’t quite pain and it wasn’t quite numb, but both and neither at the same time. And it felt restless just in that spot and sometimes it radiated out through the whole leg on and off. It was so irritating that I lost two nights of sleep. And I knew it wasn’t a clot or circulation issue since I have discussed that with my doctor before and I am not at risk for that. It was at its most intensely uncomfortable stage when I forgot to take my stool softener that day (so toxins were lingering). The sensation lasted for 5 days and greatly lessened to a mild irritant when I remembered to use my stool softener and it completely disappeared when I started exercising. The third week has been a breeze and I’m hardly seeing any more obvious bugs/eggs in my stool. The Hot Detox Baths, the heating pad, and Ibuprofen were what got me through the leg pain, since I was too tired/irritable to exercise (although I’m sure that would have helped immensely). I didn’t know about detox symptoms (or search for them) until I had the sensation in my legs and I felt like it was due to the cleanse – that’s when I went looking and that’s why I compiled the huge list for you, since I myself didn’t know when I started my cleanse. I feel this is the first step to lasting vibrant health and I plan to do more targeted cleanses that I’ll write about in the future (mucoid plaque, liver cleanse, oil pulling, etc.). Now I won’t have thieves stealing my nutrients and making me crave crap. I’m really passionate about it and I’m trying to spread the word and be very thorough, which is why I’ve littered this article with all my sources. Share this with your friends, family, and doctors. I'm hoping you'll help me spread the word by sharing this article! And please tell me about your experiences with parasite cleanses or share any resources you find helpful in the comments!